Looking for Short Story worksheets? 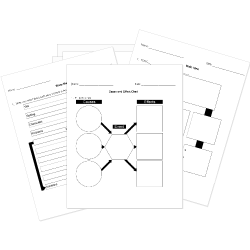 Check out our pre-made Short Story worksheets! You can create printable tests and worksheets from these A Sound of Thunder questions! Select one or more questions using the checkboxes above each question. Then click the add selected questions to a test button before moving to another page. In the story, which of the following actually changes the future? Eckels has disobeyed Travis's orders. Travis fears that Eckels may have changed history. Travis fears that Time Safari will have to go out of business. Travis fears that they won't be allowed to return to their own world. are the easiest to kill. are about to die anyway. protect the hunters from dinosaurs. protect the dinosaurs from hunters. make it easier to walk through the jungle. in no significant or noticeable way. You can only change your past. Small changes can have large effects. Nothing we do really matters. In "A Sound of Thunder," what does the change in the spelling of TIME SAFARI signify? What is the first "sound of thunder" in the story? The government doesn't like the company hunting in the past. What is it afraid will happen? It's afraid that they will change something about the past that will alter the future. It's afraid that they will try to bring back a live animal. It's afraid that they will be responsible for any deaths or injuries that occur on the hunts. he wears many handicaps and must disguise his looks. the government is going to give him an award. he is taller than most people. Which of the following beliefs leads Eckels to decide against trying to kill the dinosaur? There is no way that the dinosaur can be killed. There is nothing to be gained from killing the dinosaur. It would be wrong to kill such a magnificent beast. The chances that the dinosaur's death will change history are too great. What leads Eckels to stray off the path? Think about the characteristics of science fiction listed below. In the boxes on the right, write notes describing how each characteristic of science fiction applies to "A Sound of Thunder"
How do the characteristics apply to "A Sound of Thunder"? What do legislators do when they revoke a law? Explain why the writing on the wall has changed when Eckels comes back to the present.